Google finally agreed to add a ‘Do Not Track‘ button in it’s in-house browser, Chrome. Since the introduction of the SOPA act there has been a lot of talk about privacy and tracking. Most tech companies had taken a clear stand on whether they need to track their visitors and supply site resources (on-site features, advertisements, etc.) according to it. But unfortunately some big companies haven’t made their stand very clear. Here we are talking about the social media sites which offer a general statement saying, the users need to set their own privacy settings from the options provided on the site. Do Not Track is on it's way...But will this strengthen Chrome privacy ? So by saying the above, Google has agreed to join the initiative which the Obama headed administration in the United States is aiming for – i.e. to give more power to the internet user. Now it’s highly unclear how this new Do Not Track button will work/function considering that Chrome already has an Incognito window which doesn’t keep a record of the site history, cache, form input information, etc. But it’s obvious that it will stop tracking user activity. My guess is that they’ll provide a separate option named Do Not Track in Chrome’s back-end menu and it will have another check-box option to ask yes/no to display the button in the menu bar. 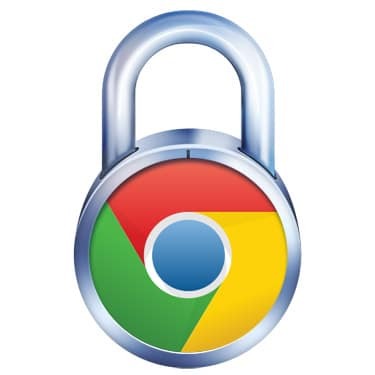 Probably the next version of Google Chrome will feature the ‘Do Not Track’ button, well that’s what we can hope. Do you think other internet giants also need to wake-up and come out with a similar strategy to respect an online user’s privacy ? It is about time. I think Google caved because of all the bad press they have received about their privacy policies. I am happy about this news. Hi Mani, this is good news. The trouble is with all of the fine print (the devil is in the details) no human language is perfect and what one reads may not be what the other party actually intends. We never can be quite so sure if what they say is what we think they intend. the is great news. I am glad they decided to do this. I feel better about using Chrome now. I am glad to read about this news because its in favour of every one. I read this news a few days ago and its a happiest news for me as a user of Chrome. That’s a really good move by Google. Privacy is one of the concerns of many Internet users these days!